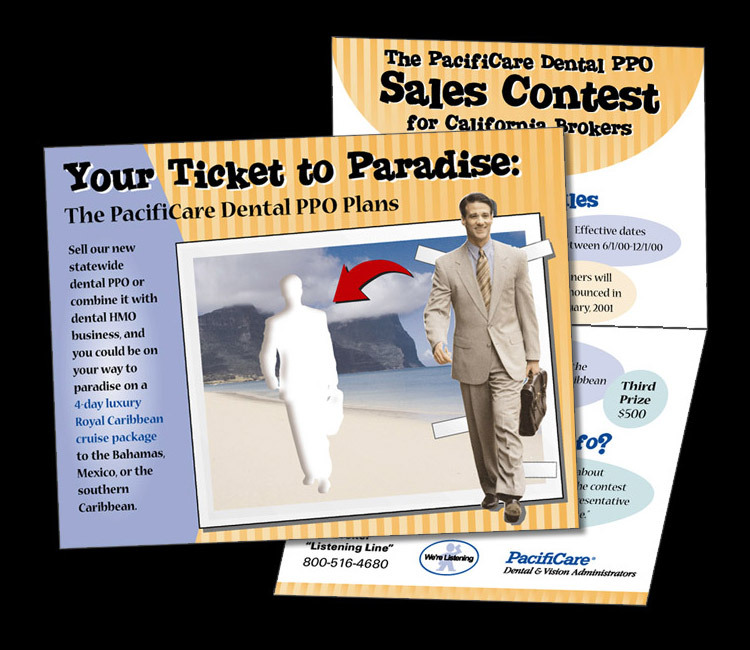 Client requested a self-mailer to promote a sales contest for an exotic cruise. Concept is a photo postcard where the salesperson could literally plug themselves into paradise. Original design with stock photo, per client type and color specs.